Together We Pass: what do they do? Together We Pass (also known as TWP) has been around since 2008, and in fact started using just yahoo and an excel spreadsheet. However, in 2012 the business doubled in student numbers and the company was forced to consider how to automate in order to scale with this level of growth. In early 2013 the first web platform was launched, and TWP has never look back. They also launched TWP Academy, a distance learning college which specialises in Accounting and Bookkeeping Studies. They offer fully accredited courses, which you can study even without matric. Together We Pass uses the power of social learning to help students prepare for their exams. Students can discuss their coursework in the forums, compare assignments (cheat free), and share their study resources. They also get updates from the system about when a new message is posted and can (like Facebook) create a personalized profile, friend people and send private messages. In recent years a lot of new services have been added. They now have subjects experts who write notes, exam packs and facilitate the top end groups. In Premium study groups you get a lecturer in the group daily to facilitate the study group, talk through study issues, advice on assignments and much more. In the Dragon study groups, you get one on one personalized tutoring. A new product Together We Pass is extremely proud of. Social learning is the learning we do with our peers, also known as peer learning. It is students coming together and sharing their thoughts and ideas. Students can explain concepts, and giving their perspective. Remember that one of the highest forms of learning is teaching someone else a concept. Not only does it make you very clearly think about the problem you want to explain, but the explaining keeps the knowledge in your head longer so that you can easily recall it in an assignment, test or exam. Social learning is considered an extremely positive way to learn, and universities around the world encourage their students to spend time learning together. Every 5 students are studying together, you get 5 different perspectives, which will vastly increase your understanding and thinking on any topic. Group learning means you leverage the knowledge and perspective and can dramatically increase each individuals learning. One if the key issues facing distance learning students is that they have no one to talk through their assignments with before submitting them for marking. This can feel very scary, as you have no idea if you are on the right track. To help with this Together We Pass designed and built an app that helps students compare assignments where there is no way for any student to cheat. Together We Pass has been very clear that they do not condone plagiarism, and will not give out the answers, or allow students to share their answers with each other. Instead, you put your answers into the app and it shows you in a percentage format how many students agreed with your answer. If you see no one is agreeing you can then choose the “Discuss” button and a topic is created in the forum on that question so that all students can discuss how they reached their answer. Again this is to increase every students’ knowledge of the coursework. This feature has been a huge success with students and is one of the key reason students join Together We Pass again and again and again. Together We Pass forums allow students to come together online to get the benefit of social learning without having to agree a time or a place that suits all people. Because the group is online everyone can participate in their own time, and in whatever location they wish. Even on their phone – so anywhere is possible!The forums allow students to create topics to discuss. This can be on a particular topic, or even on a particular assignment question. Or even something more esoteric like a topic for motivational posts to keep everyone motivated in their studies. Remember that with Together We Pass the Premium and Dragon study groups the lecturer facilitates. That means that they create topics to discuss sections of the course, and new notes are posted every week to show students what they should currently be studying. They can also help when students are struggling and lead a discussion on a difficult topic so that all students benefit and learn together. The Together We Pass resource library has long been a source of contention. It is the biggest library of resources available to UNISA students anywhere. Students have been sharing notes, past papers, past assignments and much more with each other since 2008. Over time this built into such a mass of information that again it became a huge draw for students. Together We Pass has been clear they are not selling resources – it is a sharing function that students use to help each other study. However, UNISA was not happy with the sharing of past papers and tutorial letters created by their institution. In 2016 Together We Pass withdrew all past papers and tutorial letters from the website. All is not lost, though. You able to get an exam pack to help you study for exams, which will help you prepare for your final exam. Together We Pass: where did the idea come from? Together We Pass was created in 2008 by Tabitha Bailey. She was a UNISA BCom student and was living in Thailand at the time. She could not find other students to study with, so she created her own version of online study groups to help her pass her own exams. These were so successful that she decided to offer it as a service to other students. In July 2008 she launched her first study group for Economics 1A. She was very surprised when 140 students signed up! So she added another 5 subjects, and her student base increased dramatically to 400 students. After that she added more study groups every term until now Together We Pass offers study groups in over 300 UNISA subjects, as well as to Matric students, and a variety of other home-study college students. The name Together We Pass refers to the idea that with social learning if you study together, everyone can pass. The power of the group in learning is an amazing thing, very simple, and truly describing the heart of what the company gives the student. Together We Pass has always helped UNISA students, though their offering has branched out in recent years. I guess the question is why do UNISA students find the services offered by Together We Pass so appealing? In a variety of ways Together We Pass helps UNISA students navigate their studies. Not only the practical, theoretical help with the course material but also how to apply, register or just get in touch with the university. Together We Pass has positioned themselves as the experts on UNISA, willing to help any and all UNISA students regardless of whether they are a paying customer or not. Here are some of the reason why students love Together We Pass. One of the issues is that UNISA does not offer a very effective support to their students. They do have their own platform where students could talk about their studies and get a lot of the help that Together We Pass offers the UNISA student. However, the study groups are not facilitated. The lecturers very seldom answer questions or lead students through difficult topics. They don’t advise students on where they should be in their studies. In essence, students still feel very alone if they try to use the MyUNISA forums. Contacting UNISA has always been problematic. They service over 400,000 students and so get overwhelmed with queries. In recent years they closed down their phone centre, and it can take weeks to get an answer from via email. Together We Pass has been collection contact details for UNISA over the past 8 years, and in this way helps UNISA students navigate to the correct person at UNISA to help with the type of problem they have. Unisa study notes is one of the things in constant demand. At the start of every term, there is a scramble as students try to find notes that will help them better understand that terms subjects. Not only do students seek other students study notes, but they also buy them from a number of companies that now offer these. Together We Pass Gold, Premium and Dragon subjects all come with a study pack of notes written by our subjects experts. They even print and courier them to a student, and it is included in the service if you buy a Dragon. UNISA study tips are also a great resource that Together We Pass offers free on their website. There are various pages you an read through, written either by Together We Pass staff or by successful students wanting to share their study tips. Also, don’t forget the book Together We Pass published with Paperight – Now What? A guide to Studying At UNISA. This is full of valuable information and study tips – all home study students should make sure they have a copy. UNISA exam tips are also a hot commodity. Again a good starting point is Now What? A guide to Studying at UNISA. Remember this is a free eBook that you can download from the Together We Pass website. Again there are a number of web pages with exam tips on Together We Pass. They also have a free booklet that you can download that is specifically talking about how to prepare for your UNISA exams. Again either contact Together We Pass for a copy or download directly from the website. UNISA assignments are stressful. There are between 2 and 4 assignments for each subject, and they are both compulsory and count towards your term mark. As discussed previously students get very stressed about their UNISA assignments. The key way Together We Pass can help with these is if you join their study groups, and compare your assignments with other students. Remember this is cheat free, so don’t join if you are just looking for someone to do the work for you. You do have to do your own assignment and can then engage properly with other students to improve your understanding and your marks. If you want tips on how to approach the UNISA assignments have a look at the Together We Pass website as there are blog posts and pages dedicated to helping you approach your UNISA assignments. UNISA MCQs are difficult! Just because a question is multiple choice does not mean you will find the answer just by scanning the supplied options. UNISA are masters of the trick question, and you really need to know your stuff to be able to successfully answer. There are some real things you need to keep in mind when you approach a MCQ question. Have a look on the Together We Pass website for resources that help you know how to best approach these. Together We Pass has a number of pages on how to approach this very tricky type of question. Go search them out – you won’t be disappointed. It is actually a very involved process to apply to be a student at UNISA. Again Together We Pass puts together a detailed page of information on how to successfully apply to UNISA. This is available for free to anyone considering applying. Once you have applied at UNISA, you still have to register. And you need to register each term for the subjects you plan to write during that 6 month semester. This is quite a tricky area and means careful thinking and planning on the part of the student on what subjects they can and should take. You need to take into account pre-requisites. This means making sure you have passed the subjects needed to write a particular module. This becomes stressful when you are waiting for marks from UNISA to see if you will be allowed to write the next module. Remember to look up the page on tips on how to manage this too – as you don’t NEED to wait – choose subjects where you are not waiting for results. Otherwise, you register so late you lose months of study time. There is also a detailed page, with pictures, explaining how to register at UNISA. Together We Pass has study groups for many of the UNISA BCom (Commerce) subjects and some from the UNISA LLB (Law). This includes economics, finance, accounting and law subjects. They also have study groups for all students studying at Skills Academy, The Learning Group and TWP Academy – all home study colleges. Together We Pass has been evolving and growing rapidly over the past few years. 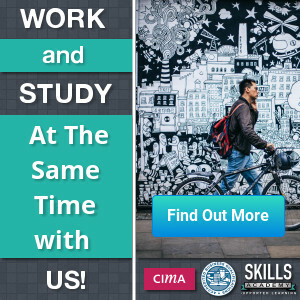 The company was bought by SA College of Home Study in 2014, which dramatically increased the services that the students could then enjoy in the study groups. One key changes was that the for the first time full-time lecturers were hired to run the online study groups. In 2016 Home Study Group bought Together We Pass, and again this brought on many new advances for the study groups. Together We Pass now employs full-time lecturers who are subject experts in the study groups they manage. Lectures write study notes, exam packs and facilitate study groups. They give advice on how to approach long questions and essays, and they have done all the assignments so they can help you make sure you are on the right track with these as well. They can tutor you when you get stuck, and they post notes, motivational pieces and so on to keep you on track with your studies. The Dragon is the most ambitious product ever offered by Together We Pass. They seem to be inordinately pleased with this product, as it is more ambitious and had more success that Together We Pass ever thought could be the case. The Together We Pass Dragon is one on one tutoring for UNISA students. You get to SMS, WhatsApp, email and Skype with your lecturer to get the help you need to pass. You have your own Dragon study group, and you can call on your lecturer any time to give you the extra attention you need to excel. Together We Pass have employed an LLB (Law) graduate to facilitate all the law study groups. We know this is a newly launched product by the Together We Pass team. They have joined with Easy Pass to offer an irresistible product to Matric students to help them do their final preparations for the 2016 exam session. The Together We Pass Matric study groups have subjects experts to manage the study group. With Pass Papers and notes to download in the resource library, and a lecturer to facilitate the discussion and answer questions in the forums. On Easy Pass students get to do mock exams and test themselves on every element of every subject they are writing. Together We Pass is here to stay! We think that Together We Pass is offering a completely unique, high-value service that anyone will benefit from. We wish them all the best with their new venture of helping Matric students, and we will be watching carefully for new products and services offered by this innovative company.